In the Metropolitan Chicago area, a "failure to yield" car accident is an all too often common occurrence, that usually results in severe injury or death to pedestrians, bicyclists, and other motorists. 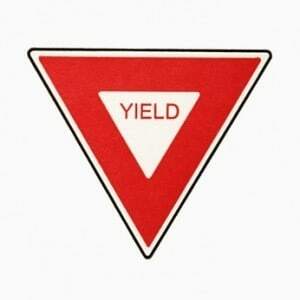 There are various “failure to yield” offenses, which often lead to serious collisions. These types of accidents are typically caused by careless or negligent driving behavior when a motorist fails to yield at a pedestrian crosswalk or yield to a vehicle that has the right of way. 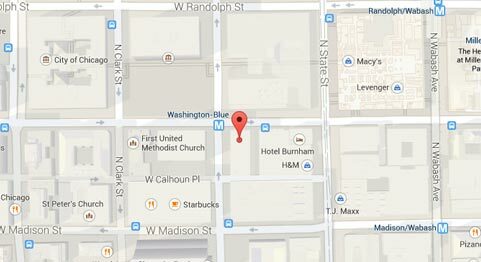 Rosenfeld Injury Lawyers LLC represent motorists and pedestrians in Chicago car accidents where drivers have simply failed to yield. If you were injured in a failure to yield accident, you can speak with our attorneys without any cost or obligation to discuss your rights under state law. Illinois Vehicle Code sets forth specified laws that govern traffic right-of-way. In some incidences, drivers responsible for a failure to yield car accident can face a criminal offense when pedestrians or other motorists are injured. Most cases involving a failure to yield car accident occur when motorists make “unprotected” turns. When stopping at stop signs or a red light, careless drivers will choose to enter the intersection without caution, forgetting to yield to pedestrians in the crosswalk or to other vehicles that have a green light right-of-way. The city of Chicago under Chapter 9 of the municipal code provides specific rules of the right-of-way for pedestrians at crosswalks that are clearly marked at or between intersections. The municipal code states that drivers must yield the right-of-way to all pedestrians within or entering a crosswalk. In addition, anytime traffic movement is not controlled by lights, traffic devices, or law enforcement, all motorists shall stop to yield for any pedestrian crossing in a way as to be in danger. Anytime two vehicles arrive at an intersection controlled by a blinking red light or stop sign, all drivers must yield to the motorist arriving first. In addition, any motorist approaching an intersection must yield to any vehicle that is lawfully within the intersection. Any merging vehicle from a parked position must yield to other traffic, and to all motorists who do not have a yield sign or stop sign, such as a two-way stop. It is imperative that all motorists use the best judgment when driving roadways and entering controlled or uncontrolled intersections. Observance of all yields and right of ways prevents car accidents on motorways and at intersections. Illinois drivers should remain fully aware of all other traffic, bicyclists and pedestrians on or around the roadway. This means staying watchful and fully alert of any motorists who are violating Illinois state traffic law and municipal traffic codes. These types of accidents usually violate traffic state law. However, failing to yield accidents are often complex and challenging cases to sort out through the legal system. Sometimes, a victim is a motorist or passenger who had the legal right-of-way but was unable to avoid hitting another vehicle, pedestrian or bicyclist failing to yield. If you, or a loved one, were seriously injured or died by a failure to yield motor vehicle accident in Chicago that was not your fault, you have certain rights under Illinois law. If you have the right-of-way, you can seek financial recompense for your injuries, missed work, property damage, medical expenses, disability, brain injury, and/or family member’s death. Contact Rosenfeld Injury Lawyers LLC at (888) 424-5757 for a free no obligation consultation to evaluate your failure to yield vehicle accident claim.